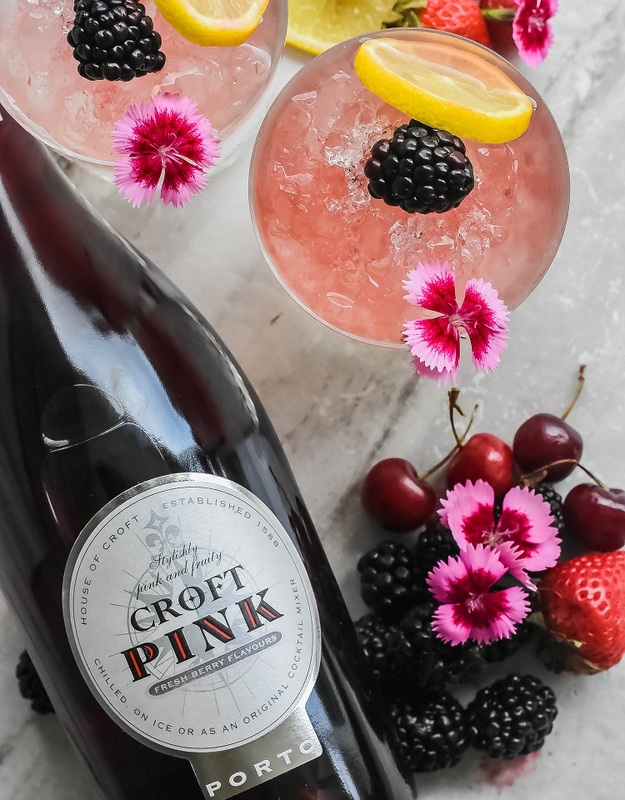 I recently came across Croft Pink Port, which I found is great on its own with ice or in a cocktail. I just had to take it home and try it out. 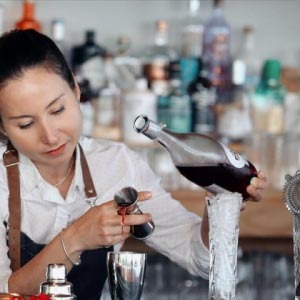 I have always enjoyed Port as an after dinner treat, but as the warmer months are approaching, I wanted to incorporate it into every day and night drinking. Some of my friends were coming over for Memorial Day and I decided to educate them on the variations of Port ahead of our event. 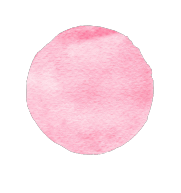 To ease them into it, I grabbed my new bottle of Croft Pink and mixed it into some delicious cocktails that everyone loved. I didn’t realize this was the first ever, pink Port but I’m certainly happy it finally exists, as this cocktail turned out so beautiful! With gorgeous citrus notes from the lemon juice and gin mixed with the floral aromatics and cherry and raspberry flavors in the Port, what could go wrong! I thought the pink Port would add enough sweetness to the cocktail initially, so I left out the simple syrup. Some of my friends thought it to be a little dry, so we added a half ounce of simple syrup just to balance it out. 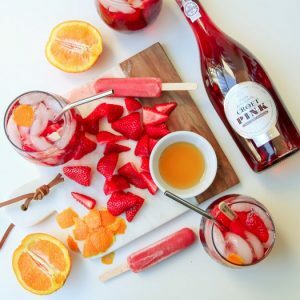 I had to agree, it really bought everything together to create a refreshing cocktail perfect for the summer season!